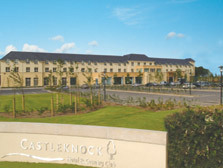 Part of the excellent tower hotel group the Castleknock Hotel & Country Club offers the guest unbelievable style and comfort. Situated in a charming area with a lovely view of its own golf course. 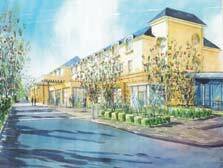 The accommodation in the Castleknock Hotel & Country Club offers 144 magnificent guest bedrooms consisting of 140 beautifully appointed bedrooms and 4 spacious executive suites. 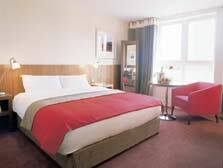 All fitted with every imaginable facility to ensure a very pleasant and happy stay. The Park Restaurant offers the finest in local and international cuisine while The Brasserie offers an all day menu in a cheerful, lively and less formal atmosphere. The Patisserie located just off the main lobby serves pastries and light snacks all day with a wide selection of teas and coffee. The hotel is home to two excellent bars Fionn Uisge is alive with activity and the Lime Tree is a club like snug with a relaxed, cosy atmosphere. 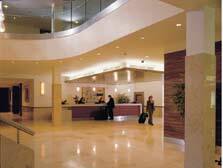 The hotel caters for business events, corporate meetings, gala banquets, private receptions and parties. The main ballroom can accommodate up to 350 people and Club Tonic is one of the most outstanding leisure centres in Dublin.